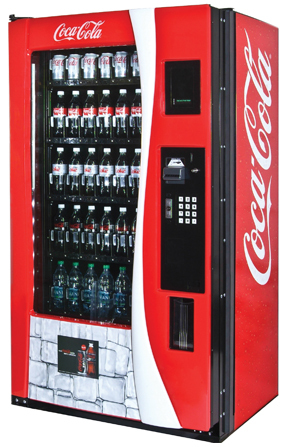 Global Vending can transform your cold beverage vending experience! 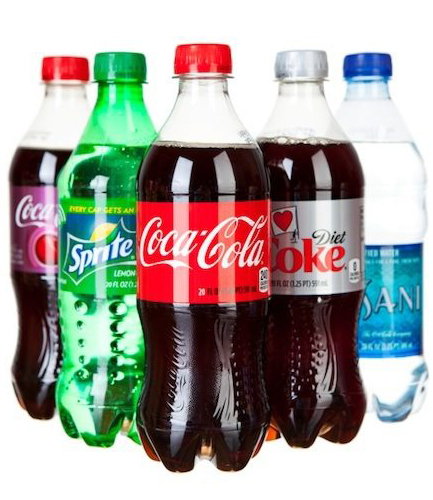 We've got all the options from classic soda varieties to healthier bottled water alternatives. 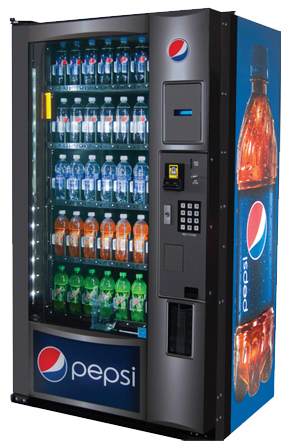 Offer an endless variety of cool, beverage refreshment in your workplace with a traditional beverage program from Global Vending. We carry all the popular brands and rotate in new options regularly. Your location can get a mixed selection of beverages including carbonated, flavored waters, juices, etc. Customer requests for new products are welcome and encouraged. 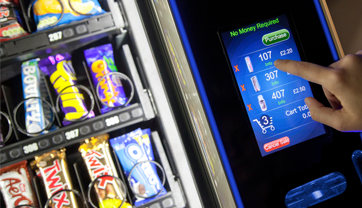 Vending machines that are 40% more efficient than our competitors and twice as energy efficient as machines made just 5 years ago. 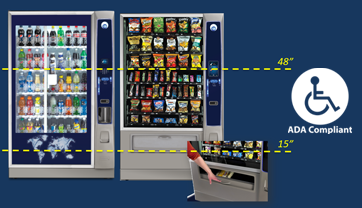 All usability components of our vending machines (payment, selection, and delivery areas) are between 15" and 48" up from the floor. Vending's biggest problem has been solved - No more product jams! 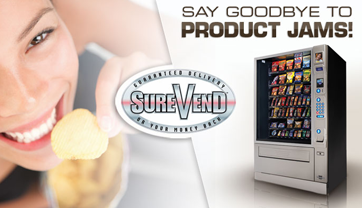 SureVend uses special infrared technology to ensure that your products vend properly. 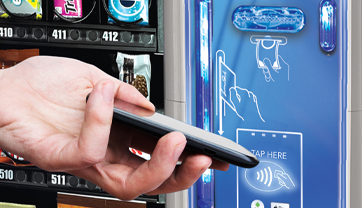 Products can be visualized on the intuituve touch screen in several ways, enabling much stronger sales experiences than traditional vending. Don't normally carry cash? Pay directly with your cell phone using a variety of mobile payment platforms. Consumer marketing, promotions, and advertising are delivered to the consumer at the time of their purchase. 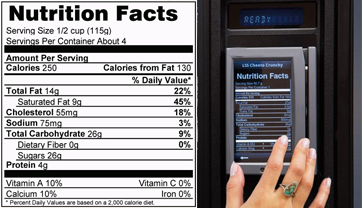 Global provides full nutrition facts and allows consumers to search for products that meet their needs and tastes. 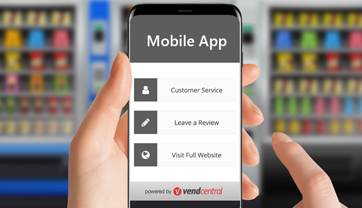 Global Vending now offers a revolutionary, hass free way to report repair, maintenance, or any service requests using our Mobile Request Platform! 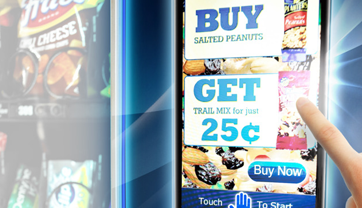 Looking to put your graphics on the front of the vending machine? Let us help you make your breakroom stand out from the crowd. 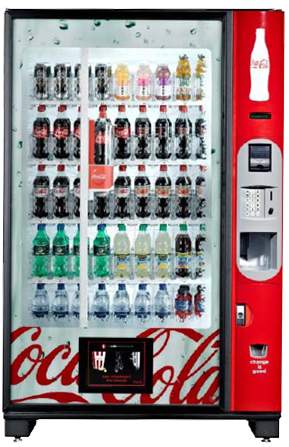 Global Vending's premier cold beverage vending machine line. 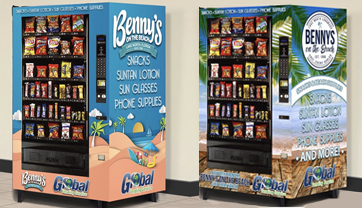 At Global Vending, we see vending as complimentary to your location's aesthetics and decor. We want our machines to enrich your environment and provide a practical service at the same time. 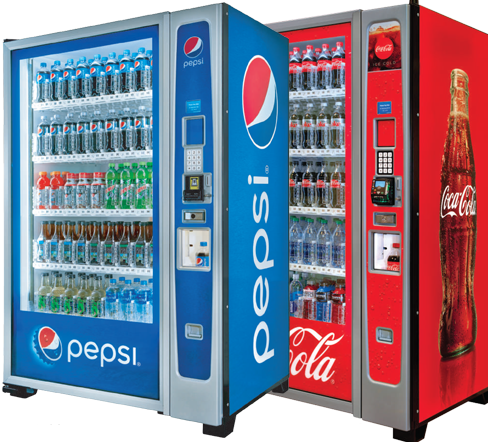 Our machines have mutliple product configurations and can be customized to match your place of business. Merchant MEDIA Ambient offers more selections and flexibility for enhanced non-refrigerated, glass-front merchandising value. 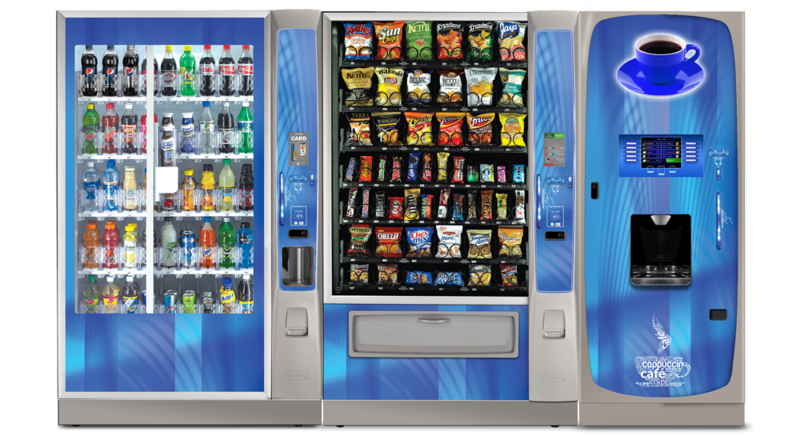 The MEDIA platform enhances the ambient snack machine and adds an interactive user interface that engages consumers with a 7" color screen and shopping cart capability, digital ad functionality, guaranteed product delivery and an out-of-the-box cashless option. 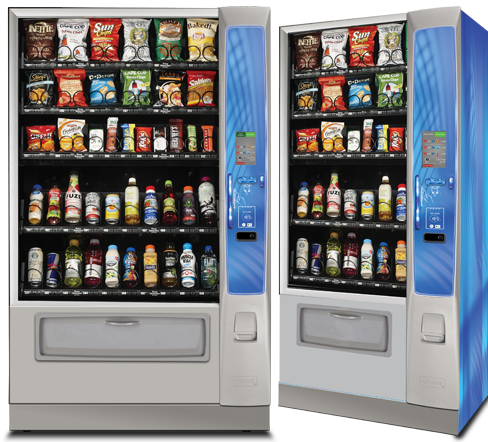 Create a powerful automated retail store for combination snack and drink, and food vending with the award winning, glass-front Merchant MEDIA Combo. Take advantage of the innovative MEDIA platform that combines a rich user interface functional design that offers more selections and unparalleled merchandising. MEDIA's modern design attracts and engages consumers with custom graphics, touchscreen, screen messaging, shopping cart, integrated payment systems and digital advertising. It's not enough to offer snacking-to-go. Consumers are looking for the kind of convenience that fits their desire for a healthier lifestyle. That means the trusted brands from PepsiCo they know and love. Hello Goodness gives them the snacks that leave them satisfied, presented in a clean, modern design that reflects how they live their lives today. 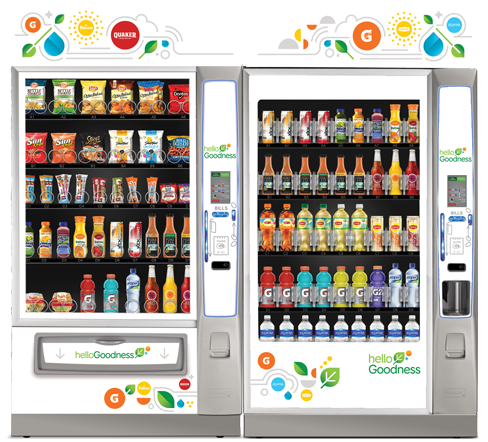 The Hello Goodness vending machine features a thoughtfully chosen selection of PepsiCo products such as such as Naked Juice, Smartfood Delight popcorn, Lay's Oven Baked potato chips, Quaker Real Medleys bars, Pure Leaf iced tea, Propel Electrolyte Water, Tropicana Pure Premium and Sabra Ready-to-Eat Hummus cups. 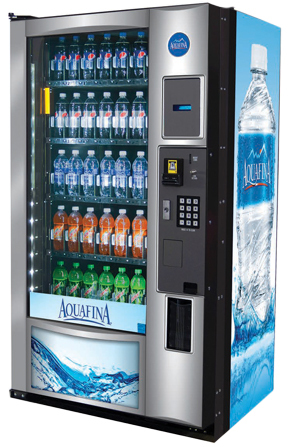 Innovative snack and beverage vending for one stop, better-for-you choices. 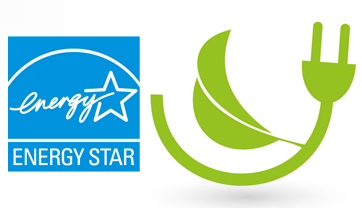 Product offering includes but is not limited to the following options on some or most products: Low Calorie, Low-Fat, Kosher, Gluten-Free, Real Fruit, Whole Grains, Limits on Sodium. With a clear product retainer for optimal product presentation with straight on package viewing optimizes brand marketing, and an illuminated delivery port for better product presentation - the RVV 700 series will catch everyone's attention! It's also fast! 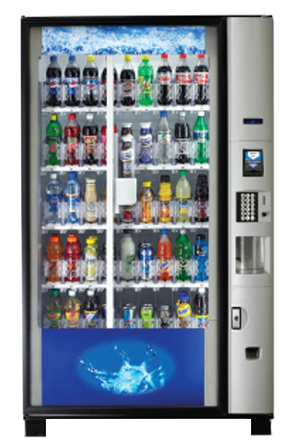 20% faster vend time than other glass front venders leads to more sales and accommodates the "lunch hour rush"
One piece refrigeration system can be replaced in 10 minutes – from the front! 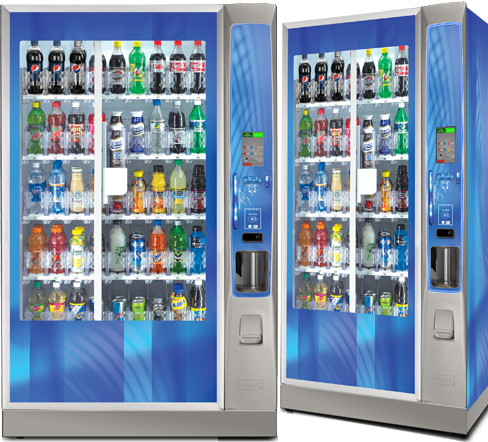 Looking for a Complete Vending Breakroom Solution? 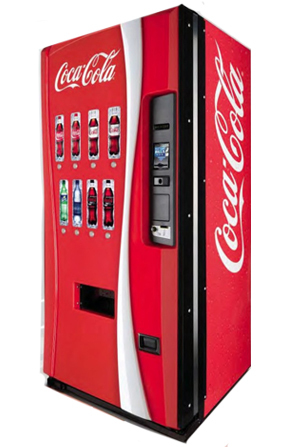 All of our machines can be paired or "banked" together, in any combination, to provide a custom refreshment solution for your needs. 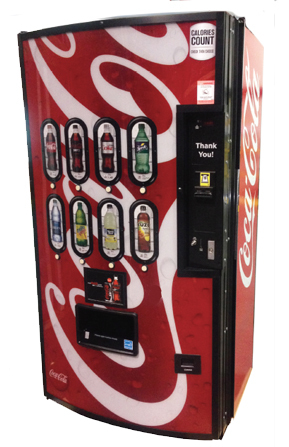 Global Vending can provide any beverage machine configuration you can imagine. 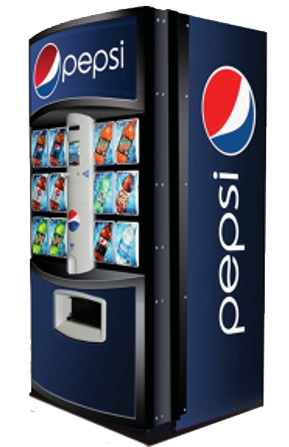 Call us today for cold beverage vending machines throughout Florida filled with today's top drinks.